I first learned to video dancers in traditional schools and then innovated a style of shooting and creating video production that gives the audience an up close and personal experience of the dance and the dancer…the camera is usually racked on wheels so that it’s easier to move in close and appear to be dancing with the dancer. I’m told that viewers of these videos feel as if they are part of the dancers experience and even have their own experience of the dance. Dance is, after all, a conversation – a dialogue. That style of video production was borne, as are most inventions, because of necessity! i wanted to emulate the sort of video productions that were the hallmark of high end productions where crews worked as teams and set up jibs and cameras on sort of crane like racks. All common place now but still, only available in high end and expensive video productions. Usually there are 3 video cameras recording. You’ve seen them…there is typically the videographer sits in a chair on a crane like piece of equipment and can swirl, move forward, backward and track the movement of the dance troupe or individual performer. I am particularly fond of dancers. More than fond! I love them! They give me the greatest of joys – a vicarious experience of freedom of expression that I do not experience through any other medium. In fact, as a film maker and screenwriter, I always cast dancers as close to the main characters as I can. In my narratives somehow or other dance and music is part of the dialogue. The characters locate and discover what they are really feeling and are not necessarily able to articulate with words. Unspent grief of which we all have much of, can be released without needing to talk about it. Sometimes they discover they are in love, through watching someone dance. etc. Locating emotion, that’s buried deep in places where only sighs exist is a soulful and delicious experience. Usually dance involves movement to music and is often rhythmic. It was,once upon a time, systemic to most all cultures. When you learned to walk, you also learned to dance; when you learned to speak, you also learned to sing. 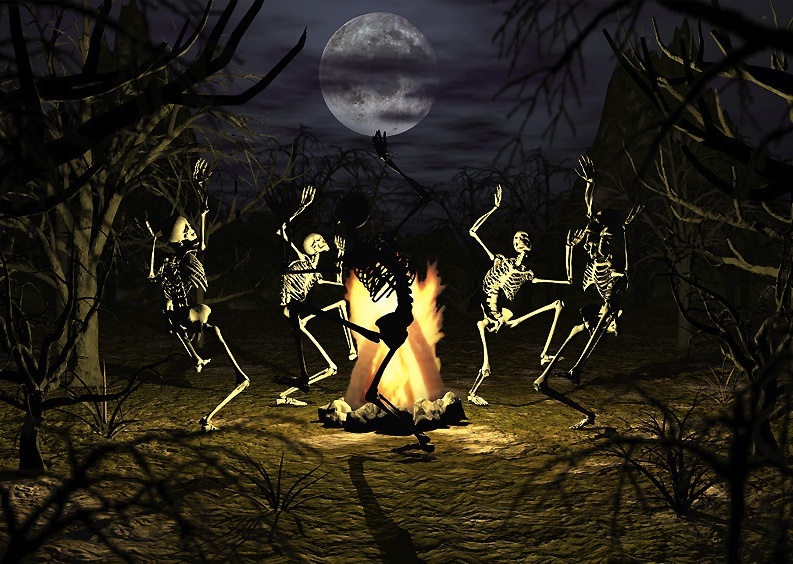 For many cultures dance is central to deity worship, pagan rituals usually to do with the rhythms of the universe and cycles of nature about seasons of fertility and the cultivation of crops, etc. All important expressions of living were danced. Rites of passage; joy, sorrow and grief. Anger for loss, trails and triumph – victory – dances for making war as well as for making love. With the rise of the western culture, a philosophy was adopted that began to view the landscape of ‘Life’ in parts’ rather than the integrated ‘whole’ of it. This approach was taken in all areas of our lives. It is a type of analysis that seeks to understand the whole by dissecting it into parts…then to understand the parts in order to know the whole! In other words, very important assumptions are drawn by utilizing this method of learning – everything, including God, is studied as ‘apart from’ not ‘a part of’. Hence the rise, if not rebellion of those now insisting in a more holistic approach to viewing ourselves in an ever changing part of the whole. Affecting and being affected by a world we touch and are touched by. Its a given that you have to take things apart, observe and practice them in order to be able to preform them. This is, no doubt, a time honoured way to learn something to be able to master it…the main difference that happened in the west was that once we pulled something apart in order to understand and learn it, we never put it back into a whole! Gee, I wonder if that makes sense to you(?) So our very dance, our most authentic way to express the ‘truth’ as it is at the moment, is cut away from our ‘day-to-day’ living. This is one of the subtle reasons that I believe we mostly sit to watch performances and not particularly participate in them. I don’t mean to suggest that other cultures, still alive and well today as well as ancient cultures, since past, did not have performers and audience. In fact a chief difference between what was common place then and what is common place now is very much a divided experience between the dancer and the observer. We buy tickets to go and watch dancers; they are a part from us, not necessarily seen or experienced as a part of us…or an extension of our very own experience. I adore those moments when performers get an audience up to ‘move a groove’ with them. This is how it is in many cultures…everyone becomes part of the dance…whether they move or not! A performer, like the one I’m speaking about here, Delilah Flynn (Visionary Dance- Fremont, Seattle) moves an audience the minute she enters there to perform TO them. The dance is a language they immediately understand and respond to. Dance is a central part of every healthy culture. It is a way to experience and release a complete range of emotions that never will be accessible to the spoken word . There is a vocabulary in the dance of each culture. Gestures in the hands, feet, head, for that matter many parts of the body are put to use to say something with the body. Its been said and I wholeheartedly agree that, “Dance Is Our Mother Tongue”. When you think of the universality of body language and how easily it is understood, then that quote is not a far stretch. So beautiful to be able to see a dancer that has combined the dance vocabulary from many cultures and uses his or her body to talk to the viewer. It’s a conversation. Now, this is, above all why I love the way Delilah of http://VisionaryDance.com teaches. For that matter, performs. She has managed, and this is not an easily accomplished task in a world that has subdivided the way we live and the way we work from each other. How ever would someone maintain a ‘whole’ in an essentially an schizophrenically structured society?! 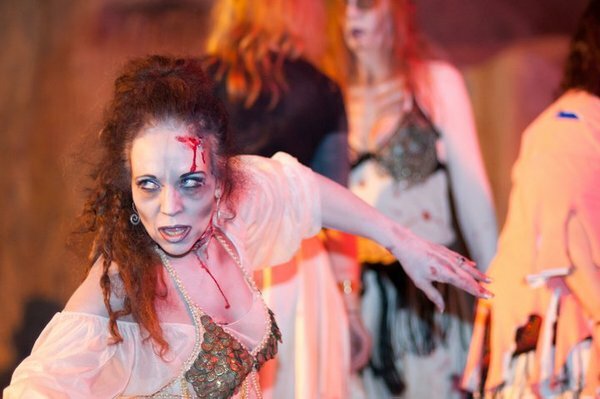 Maintaining a career as a Dancer Healer is, as Delilah will tell you, a very challenging ‘row to hoe’. Delilah’s dance is contagious. She embodies a dance fusion of the very essence seen in ancient cultures with their extraordinary expressions and can and does combine them into everything from ‘Rock n’Roll’ to a Whirling Sufi Dervish. The type of Belly Dance Delilah performs is a communion with the audience. Her very movements invite your involvement. It pleases you and teases emotions out of you…. she is dancing ‘for’ you as well as ‘with’ you. When a performer, who really is a dancer, enters the room, it switches on! Lights up! It moves or rocks! Delilah’s (Flynn) style is the closest I’ve seen outside of its country or origin. 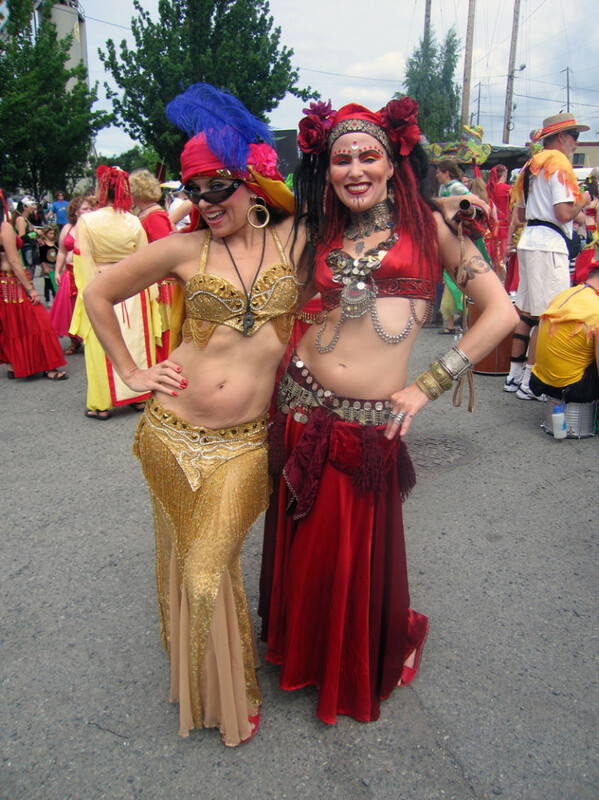 She is considered the Grand Dame of Belly Dance in the Pacific Northwest as well as elsewhere. Delilah is a beautiful woman and every bit the seductress her name suggests! Her costumes are stunning. I was surprised to learn how much investment there are in these gorgeous costumes. Having said this, I don’t want to feed the erroneous concepts that has ‘belly dance’ as a display of sexual suggestions; it is so ‘off the mark’ to have that notion. Belly dance is an art form. Tremendous skill is involved in learning some of it’s intricacies, and yet everyone can learn enough of it to enjoy it as an expression as well as a wonderful way to gain and maintain physical fitness. Delilah can tell you all about that and is a very generous woman with both her time and her knowledge. I happen to love seeing men belly dancing – it’s part of a cultural exchange and experience in it’s country of origin. Delilah Flynn been at this for, well, shall we say with great pride, for several decades! Frankly, when you really think of it, haven’t you noticed that there are actually very few people that stick with a craft and drive themselves to not only perfect it, but then go on to stamp it with their own identity. Delilah, in short, is a scholar of her craft. She may not possess a document with her name and the letters ‘PhD’ scribed on it, but she is a scholar just the same and frankly, it’ll be a pity if somehow, all that she’s studied and mastered is not carved into a course for others to glean from. That is how PhD programs were put together anyway! Dance is an extensive study. Its a vast and rich way to study history in a comprehensive way. This next idea may seem a little quirky, but, hey, it’s my blog and no one is correcting this paper! LOL To take some dance lessons and let a pro assist you while you really locate your own dance is another way to discover history. Yours! I hope you will one day witness her dance and let her lead you to find yours. She has a very developed online presence, there are dozens of video productions you can view…BUT, I hope we never forget that dance was meant to be an experience… a live one…so that it can live on in us and who knows, that very experience may become part of our own dance. 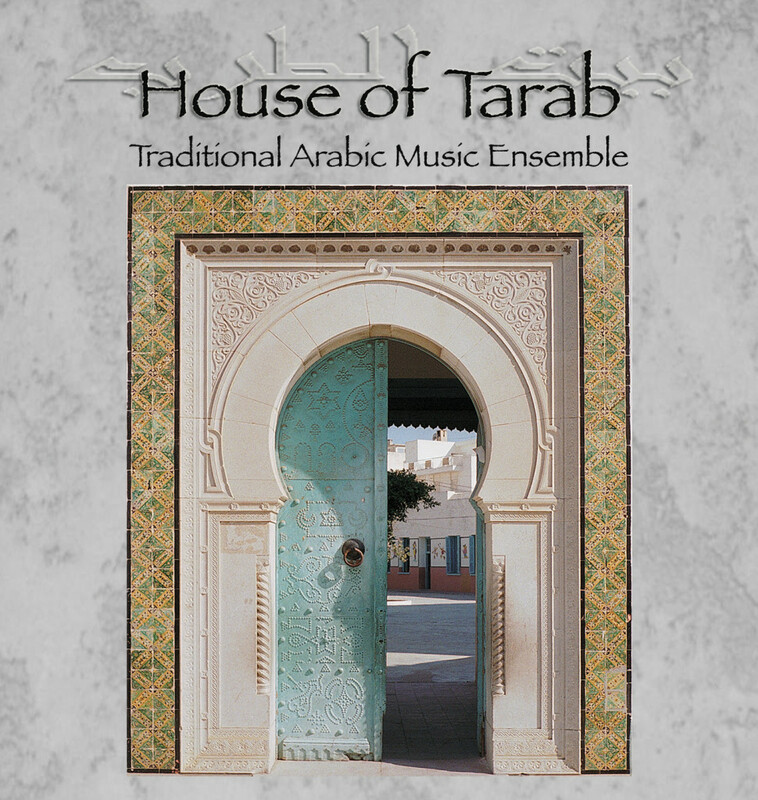 House of Tarab / Arabic Music Ensemble (the in house band) & Visionary Dance give a standing ovation performance. 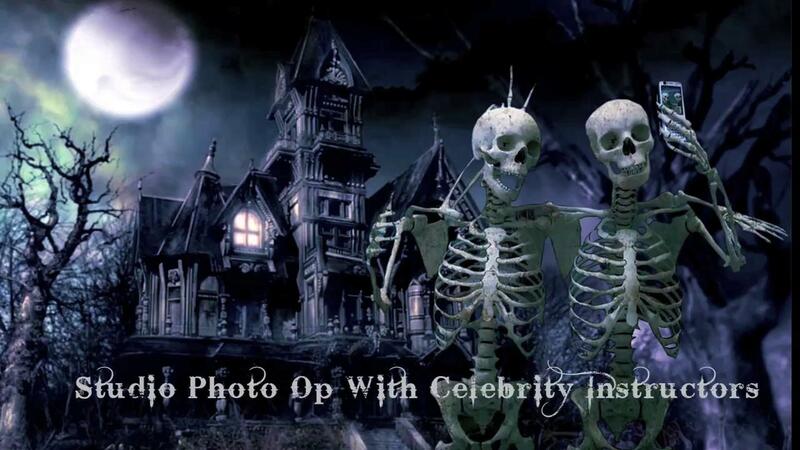 Consider booking them for your next event. It is sure to be a memorable one. If you want to see a good range of Delilah’s dance, have a view of the second video on this page…and that’s JUST one type of dance she does. Erik Brown on Tabla provides an excellent conversation with her! 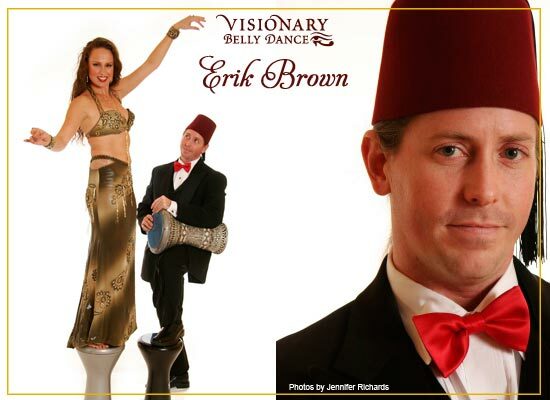 Erik Brown, ala ‘House of Tarab’ is an excellent choice of a CD to buy, dance, sing to! I live that group – especially the ‘spirit’ they embody and the authenticity they maintain. This entry was posted in Blog, Videos by Petrushka. Bookmark the permalink.